Scientists say that the world has been spinning for more than 4.5 billion years. Human beings have been walking the earth for approximately the last 200,000 years and civilization as we know it has been around for the last 6,000 years. That’s a lot of human history! Throughout all that time, most of the proof of our existence has been washed away, broken into dust, or melted into nothing. But there is one item that many of those long-ago civilizations created that has truly stood the test of time: pottery. Many pieces of pottery have lasted millennia, with the oldest piece of pottery ever discovered being more than 18,000 years old, according to radiocarbon dating. And that’s not all. Museums carry numerous relics that date back to the Roman Empire, ancient Greece and ancient Egypt. But how can pottery last so long when so many other artifacts have not lasted the test of time? It’s how pottery is made that leads to its longevity, and the key is the fired clay, says the Rogers Archaeology Lab blog. Pottery made from fired clay is incredibly durable, more so than many other conventional materials. Metal has a habit of corroding in many environments, while more organic materials, such as wood and bone, are prone to rot. 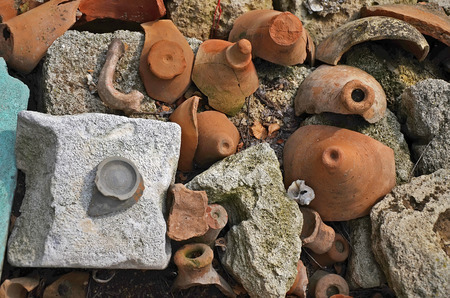 Ancient civilizations worked hard to find ways to improve their pottery. For example, the Egyptians discovered 7,000 years ago that they could glaze their pots to aid in their durability. Soon after, the Chinese improved their kilns to help the process further. In the end, all of this work has led to durable pottery that helped these ancient peoples in their day-to-day lives and left remains that we still have in our possession today. The amazing thing is that the art of creating pottery hasn’t changed much since those long ago days, so the pots, vases and dishes that you make today could still be around thousands of years from now. It is truly an astounding process. At Dragon Fire Ceramics, you can create your part of history by taking part in one of our many available classes, events and workshops. Check out our events page to see more on our upcoming sessions and events, or call us at 218-384-9374 today to learn more.